With the much-anticipated arrival of spring right around the corner, we can't wait for bike rides, picnics, visits to the park, and more. Basically, we just miss playing outside in the warmth and sunshine! Considering that some of our outdoor adventures are planned (e.g. purposely heading out for a walk) and some are spontaneous (e.g. pulling over to try out a new playground when we happen to be driving by), I try to always be prepared with the one item that has proven to be a necessity: a blanket. Whether for an impromptu picnic, to hang out to examine bugs, or for me to lounge on while the girls swing, slide and climb, I always keep a blanket in the back of the car. Up until recently, that blanket was a 15-year-old, slightly grungy, a-little-scratchy blanket that I brought back from a spring break visit to Mexico when I was in high school. Needless to say, it wasn't the most pleasant option. Fortunately, that mess has long been retired and replaced with something much more comfortable, compact, portable and stylish, the Monkey Mat from Chic Monkey Boutique. Having long been a big fan of the way that Chic Monkey has proven to be a one-stop boutique for absolutely everything for babies, kids and beyond when you're looking for quality, originality and downright adorable items, I wasn't surprised when the Monkey Mat was added to their product list. After all, when it comes to pulling out an item that is going to be functional, fashionable and convenient, Chic Monkey has only the best. Therefore, when an orange Monkey Mat arrived (also available in blue, pink and green), I couldn't wait to see how much easier (and much more chic) it was going to make my life. 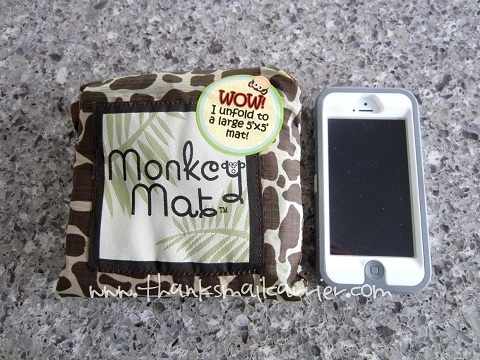 Arriving in a 6" x 6" patterned travel pouch, I was happy to see that, when stored, the Monkey Mat is nearly exactly the size of two cell phones. For a full-sized blanket to fold up to that small, I was already a fan! 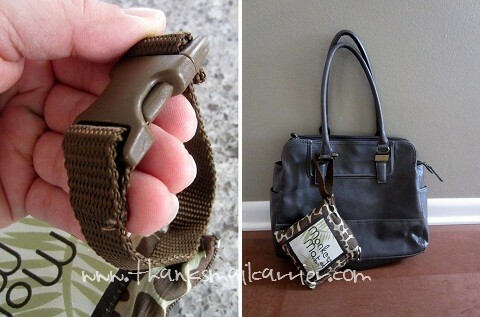 Instead of the massive armful of blanket that I was used to lugging around, this petite package could easily be tossed into a purse, diaper bag or backpack... or, due to the handy buckle strap, attached right on the outside. 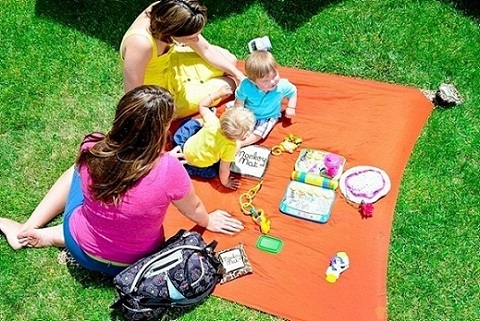 Once at your destination — whether the beach, park, camping, traveling, sporting event, a relative's house, a quick changing pad for your baby, or many more — unfolding the Monkey Mat for use is just as simple as one would expect. Simply unzip the pouch, pull out the mat, and watch in amazement as it unfolds to a full 5' x 5' clean, stylish surface. The small details that went into the Monkey Mat really show the amount of thought put into it, as making the fabric water repellant is a huge bonus (who wants to sit on wet grass and feel it seep through?) and the added toy loops in the center are perfect for attaching small toys. This would be a great way to keep a baby happily occupied while also keeping them safe from the dirt and grime that may be underneath! 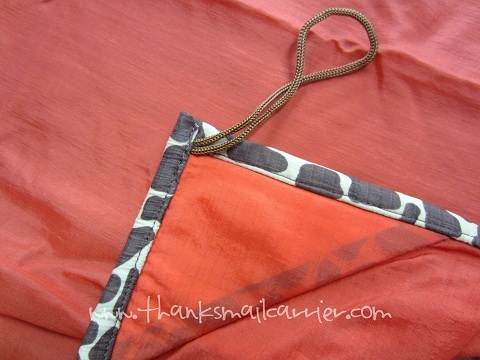 At the same time, I love the Monkey Mat's weighted corners to keep them from flapping around in the breeze and the fact that there are additional loops at each corner in case you wanted to really connect it to the ground. All in all, I couldn't ask for much more! The Monkey Mat provides plenty of space for my family to hang out, is machine washable for easy cleaning, and the storage pouch is attached so that I'll never misplace it or leave it out and about somewhere. Even better, all that I have to do when we're ready to go is fold it back up and slip it right back into the pouch and it's ready for next time. One mom's vision of an online boutique where fashionable items for the whole family can be found at affordable prices (the Monkey Mat retails for $42) has resulted in a great shopping experience. At Chic Monkey Boutique, you're not just a nameless order number, they care about personalized service and you know that your complete satisfaction and happiness is their top priority. No matter if you are shopping for a gorgeous minky blanket, an adorable tutu dress, a fashionable and handy duffel bag, or much, much more, Chic Monkey will have the perfect gift for babies, kids and beyond. Heck, as well as offering so many great products, Chic Monkey rewards their customers as well by giving them away! 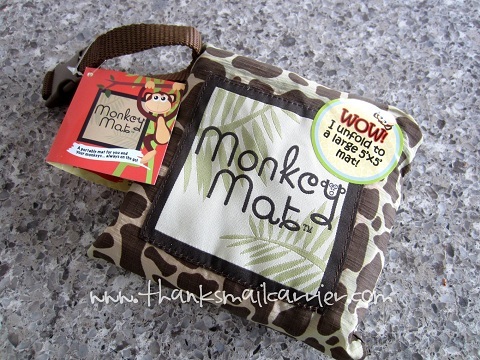 Head over to the Chic Monkey blog right now to enter to win one of these awesome Monkey Mats as well as a $25 Amazon gift card! 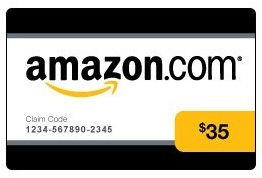 One lucky person will win a $35 Amazon gift certificate from Chic Monkey Boutique! 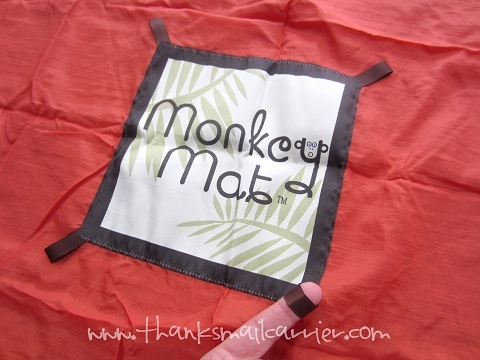 A big thank you to Chic Monkey Boutique for providing a Monkey Mat for me to review as well as a $35 Amazon gift card for one lucky giveaway winner. The opinions shared are my own and honest and if you really need to see more, click here to see how I roll. I like the monogrammed market baskets. I like the Boyds Nickie Plump'n Waddle Wish Treasure Box! The Sesame Street Tank Dress is so cute. Love putting the number on for the birthday girl. I like the Swarovski Crystal and Pearl Bracelets for Baby to Toddler...Great Gift Idea!!! I like the Flower Girl Tutu Dress. I like the Minky Baby Blanket Animal Prints. I like the Crocheted Sock Monkey Hat & Diaper Cover Set in 2 Sizes!!. I love the monogrammed diaper bags. They're so cute! I like the Sock Monkey Hat & Diaper cover. The tutu dresses are pretty too. I like the Monogrammed 3 Piece Diaper Bag! I like the Minky and Satin Signature Baby Blanket Pastel Jumbo Dot. The Crocheted Floppy Bunny Earflap Baby Hat looks so cute for Easter. So much cute stuff, I like the Tutu in Red, White & Pink w/Red Bow....So Cute! I love the Dufflel Bags. What a great store. I love the monogrammed market baskets. I like the Pink Elephant Piggy Bank. I like the monkey mat. I like the Duffel Bags Large Size in 6 Pretty Prints with free Monogramming. I like the monogrammed diaper bags. I like the Infant Car Seat Cover with Canopy! I like their Purple and Lavendar Mini Dot Minky Blanket. I love the Minky Baby Blanket Mini Polka Dot in the green. The Crocheted Floppy Bunny Earflap Baby Hat is so adorable and would be perfect for Easter! Love the monogrammed insulated lunch bags. I like Swarovski Crystal and Pearl Initial Bracelet with a Sterling Silver Heart for Baby to Toddler. Love the large duffle bag in the multi stripe. Love the flower girl tutu dresses! I like the bead necklaces - very pretty! I really like the monogram lunch boxes! I like the kids backpacks. I would love to have a Monkey Mat! Great looking pink duffle bag. Such a cute boutique! My favorite item is the pair of Soft Cloth Baby Shoes Espresso! Love the coffee bean pattern. the penquin tutu outfit is adorable! I like the monogrammed beaded jewelry. I love the lime green with zebra bottom diaper bag! Minky Baby Blanket Animal Prints...3 Print Choices! A MINKY blanket... ooooo are these NICE. What new baby doesn't deserve one of these???? It becomes their favorite quickly. I like the Monogrammed 3 Piece Diaper Bag. Love the waterproof Monkey Mat! I love the Adorable Cozy Cow Costume 6-12M! I would be really useful. I love the Minky Baby Blanket Monkey Print in Turquoise & Brown. I love the minky baby blanket with the bird print, it is soo cute! I want Black & White Beaded Necklace & Earring Set....FREE ENGRAVING!!! I like the Boyds Bearstone Love. i like the Quilted 2 Pc. Messenger Style Mod Dot Diaper Bag in 8 Color Choices. The Burp Cloths are adorable! 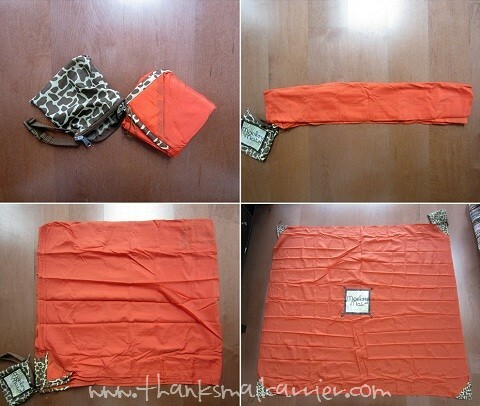 I like the Minky and Satin Signature Baby Blanket with Polka Dots! I like the ceramic football piggy bank. I like their Boy's Authentic SWAT Police Costume. Thanks so much for the fantastic giveaway! My favorite is the Billy the Goat Infant Baby Costume. The Sesame Street dress is cute. I like the Ceramic Football Piggy Bank! I like the Monogrammable Ultimate Carry-All Basket in either pink or red. I like the Minky & Satin Signature Baby Blanket w/Pastel Jumbo Dot. I love the Pink Elephant Piggy Bank! I like the Boyd's Rudy Plump'n Waddle Joy Treasure Box. The Crocheted Sock Monkey Hat & Diaper Cover Set is absolutely adorable! I love the Minky and Satin Signature Baby Blanket, Little Giraffe in green. I think Ceramic Football Piggy Bank is so cute! I like the large, collapsable market tote. My favorite item is the Crocheted Sock Monkey Hat & Diaper Cover Set. I love this "tree topper" even though we are a long time to Christmas! Monogrammable 21 Inch Duffle Bags...FREE MONOGRAMMING!!! I adore the Monogrammed 3 Pc. Diaper Bags! The Soft Cloth Baby Shoes Jasmin are the cutest little baby shoes! The Penguin Tutu is cute. The monogrammed necklaces are pretty! I like the monkey mat! I love to be in the sun and this is perfect for the whole gang to relax on. Thanks for the chance! The child's gladiator costume is super cool. I really like the Large Collapsible Market Basket - it even comes with monogramming. So many great fabric choices. The pink elephant piggy bank! I like the Crocheted Floppy Bunny Earflap Baby Hat. Thanks for the chance to win! Soft cloth baby shoes Espresso. I like the Swarovki crystal and pearl bracelets for baby to toddler. I love the monogrammed lunch boxes. They look sturdy and cute. Love the Crocheted Sock Monkey Hat & Diaper Cover Set. So so adorable!! I like the large collapsible market totes! I could definitely use one of those! I like the Minky and Satin Baby Blanket Dino! I also like the Blue Elephant Piggy Bank. The Crochet Sock Monkey Hat! Monogrammed Sterling Silver Square Ring. Thanks. I love the crocheted bunny ear flap hat! I can't resist the crocheted Floppy Bunny Earflap Baby Hat! Love this Monogrammed 3 Pc. Diaper Bags with FREE MONOGRAMMING! I love the Minky Nap Set Midwest Modern! The Monogrammable Ultimate Carry-All Basket is nice. The tutus are adorable! I like the Black & Yellow Bumblebee one. Perfect for my youngest grandaughter! 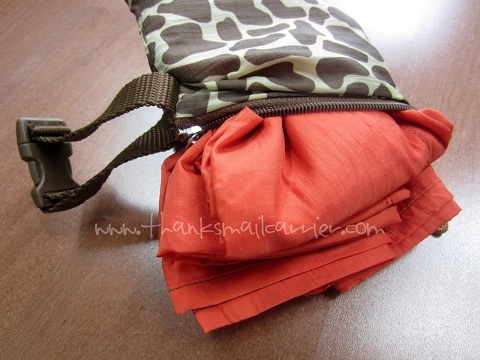 I love this diaper bag! Crocheted Elephant Earflap Baby Hat .